In the director’s chair for this episode was veteran film and television stunt man Ron Stein. He’s been in the business since 1964 and was still doing stunt work as of 2013. That’s dedication for you right there. His work on Airwolf alone brought him a Stuntman Award on the very day this episode was broadcast. 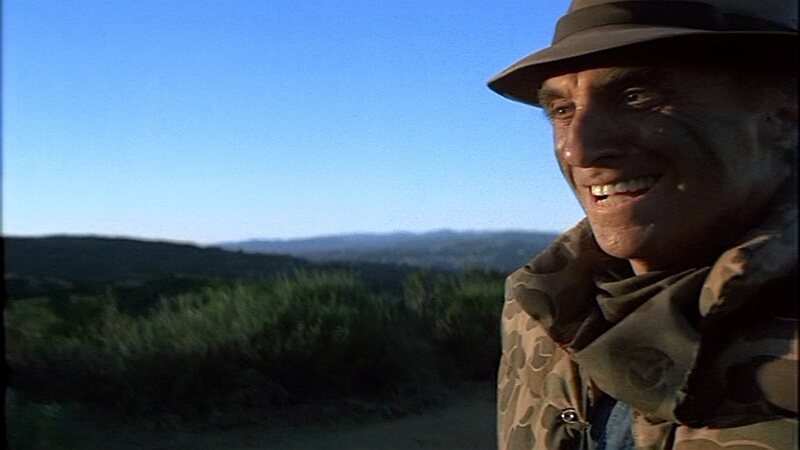 Today we revisit the Airwolf episode “Tracks,” first airing on March 22, 1986. 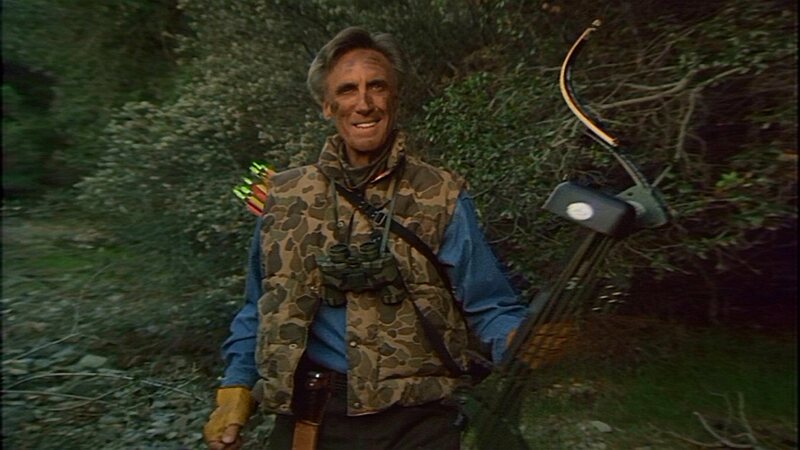 Timothy’s last television role was that of Prof. Paul McClelland, aka “The Cat Man,” who hides out in the woods and aims a giant hunting bow at anyone he perceives as a threat to the wild cats in the area. I was hoping against hope that Tim might share a scene here with series regular, the incomparable Ernest Borgnine, but alas, it was not to be. The episode was directed by long-time actor and stunt man Ron Stein.